Daniel is one of two Councillors for Finchampstead North, having been elected in May 2018. 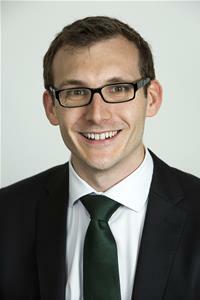 Daniel grew up in Finchampstead and attended local schools. He returned to the area after studying at University and now works as an accountant for a global biopharmaceutical company. Outside of work, Daniel loves travel and sport.